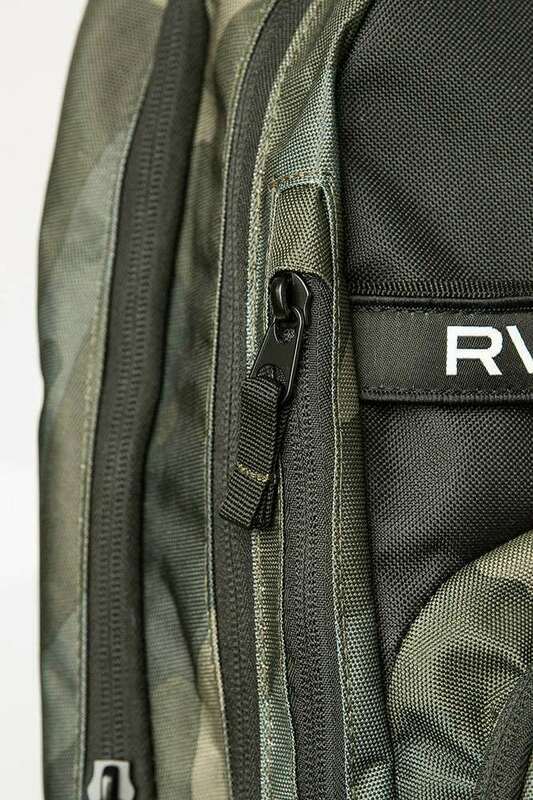 A minimalist design and maximum function meet in the RVCA Estate Delux Backpack. 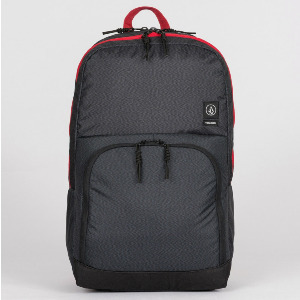 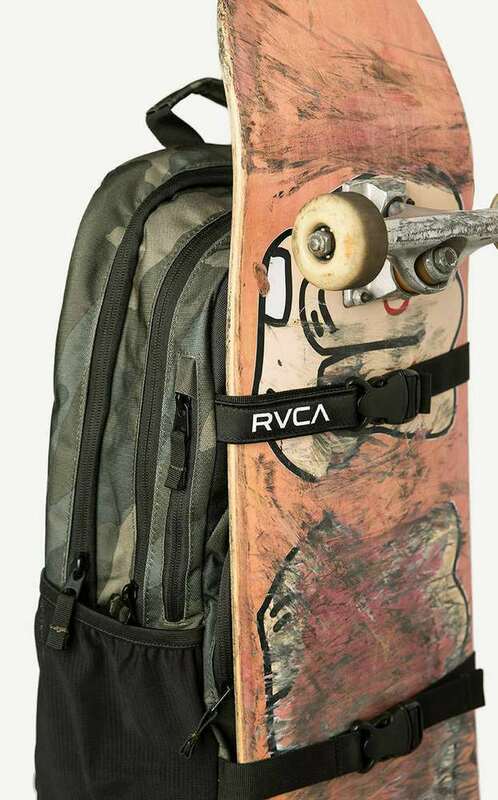 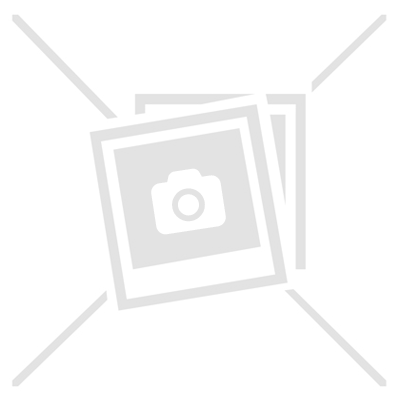 Slimmed down without sacrificing essential features or organizational utility, this skate backpack delivers everything you need, in a custom designed package. 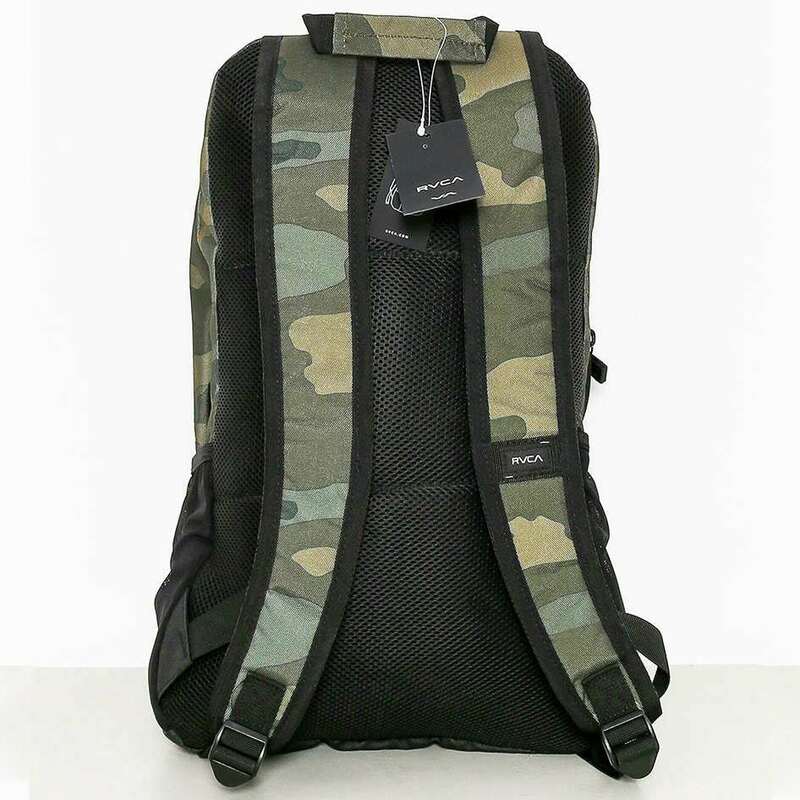 Storage features include a 21 liter capacity with a main compartment, a padded 15 inch laptop sleeve, internal organizer, front organizer compartment and mesh side pockets. 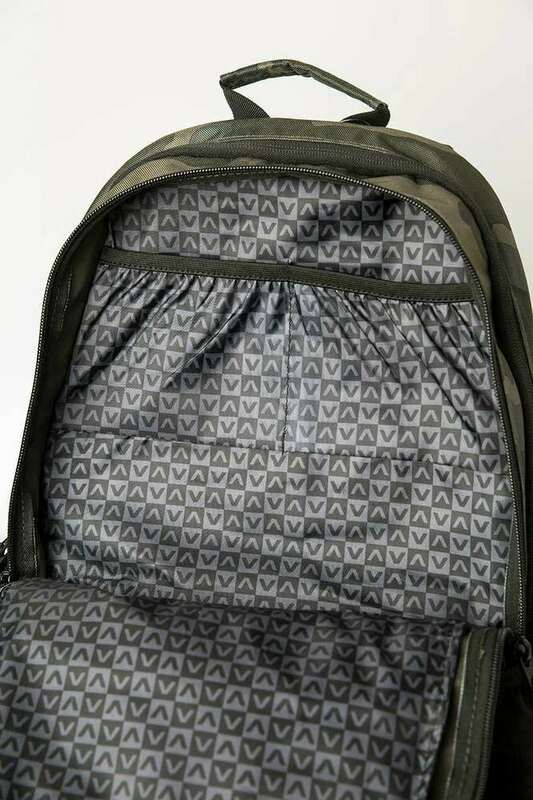 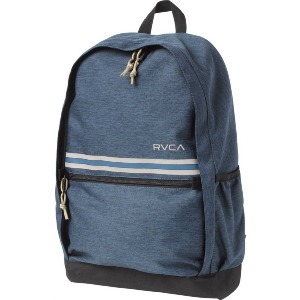 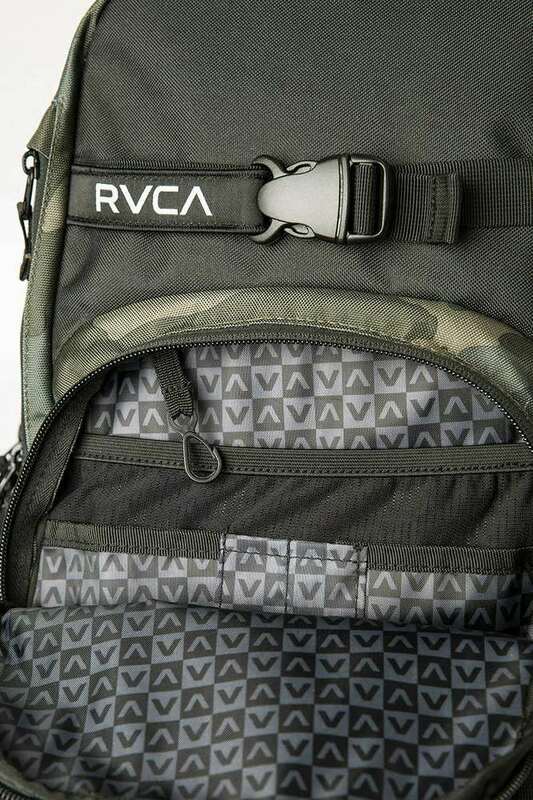 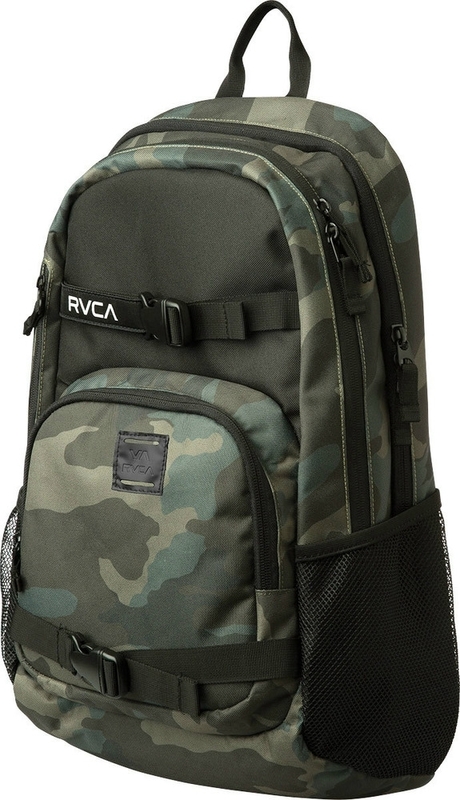 The exterior features adjustable skateboard carry straps with RVCA branding. 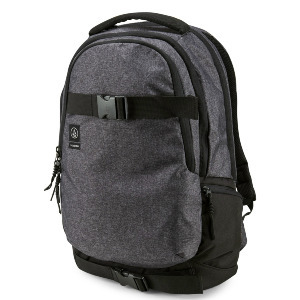 Comfort features include adjustable padded shoulder straps and a padded back panel. 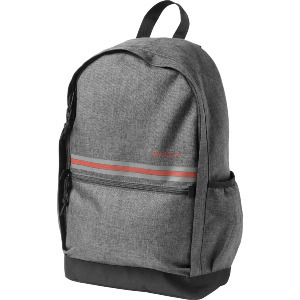 Designed to meet the demands of your active lifestyle, the backpack is made with durable polyester and PVC, lined with 210D polyester.